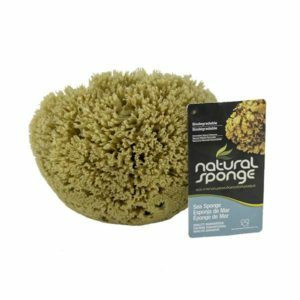 Natural Yellow Sea Sponges are the most versatile tool having hundreds of uses, including cleaning and painting. 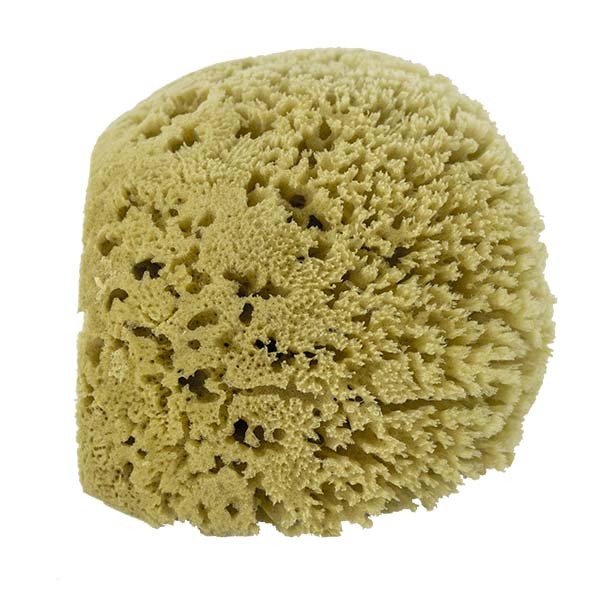 Yellow Sea Sponge Quality Guarantee: Satisfactory performance is guaranteed. 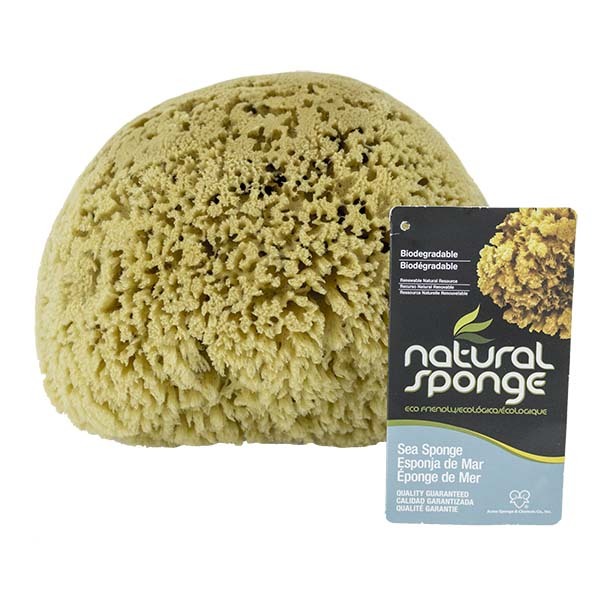 Any natural sponge found to be defective will be replaced free of charge by Acme Sponge and Chamois Co. 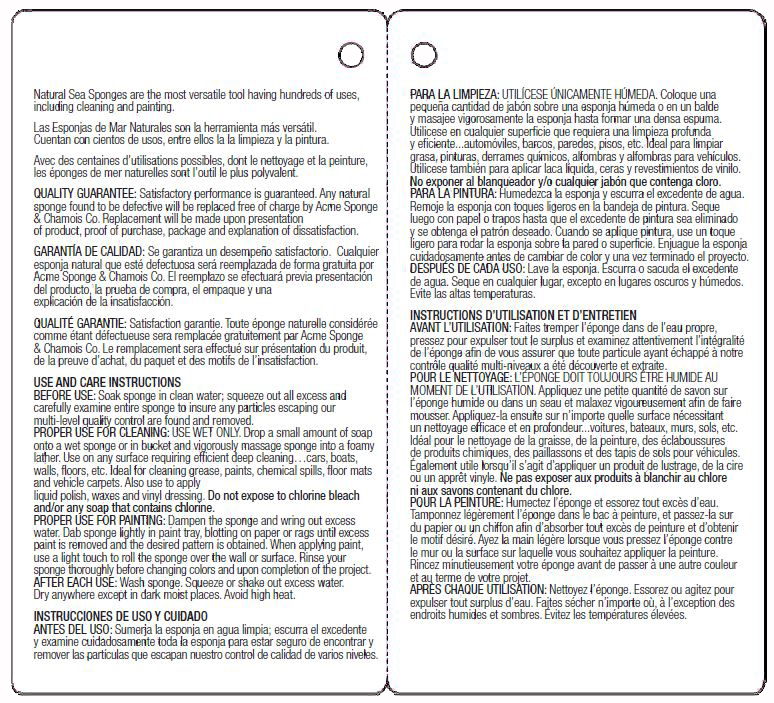 Replacement will be made upon presentation of product, proof of purchase, package and explanation of dissatisfaction. 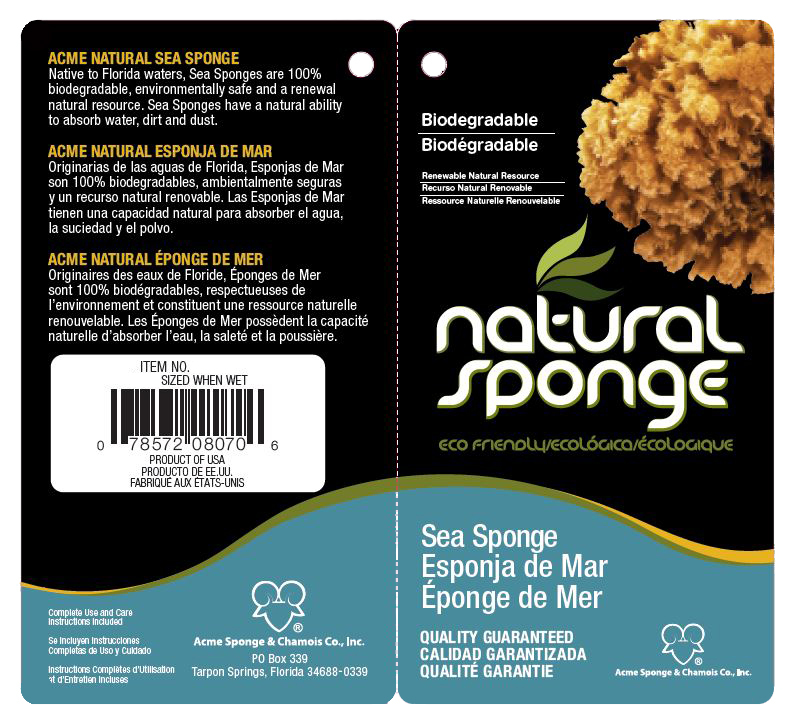 Before Use: Soak sponge in clean water; squeeze out all excess and carefully examine entire sponge to insure any particles escaping our multi-level quality control are found and removed. 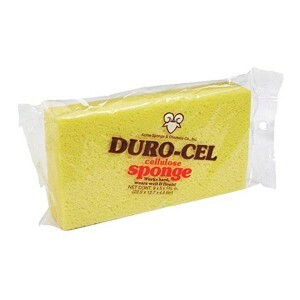 Yellow Sea Sponge Proper Use for Cleaning: USE WET ONLY. 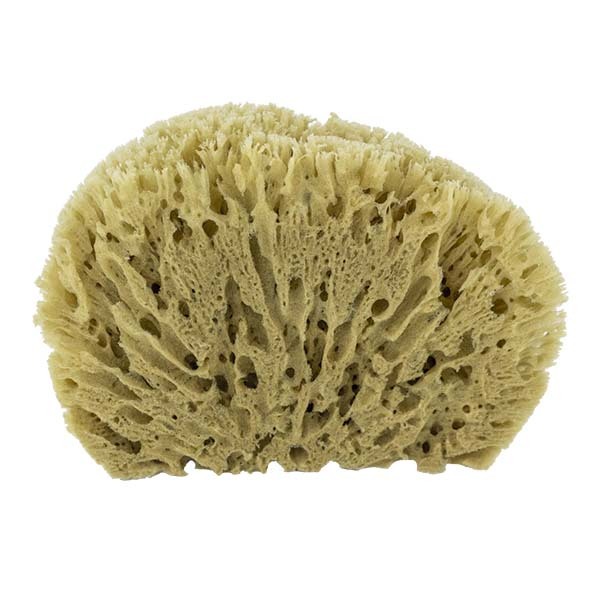 Drop a small amount of soap onto a wet sponge or in a bucket and vigorously massage sponge into a foamy lather. 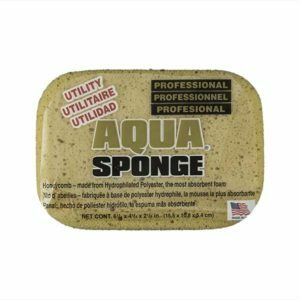 Use on any surface requiring efficient deep cleaning…cars, boats, walls, floors, etc…Ideal for cleaning grease, paints, chemical spills, floor mats and vehicle carpets. 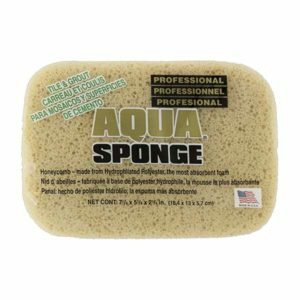 Also use to apply liquid polish, waxes, and vinyl dressing. 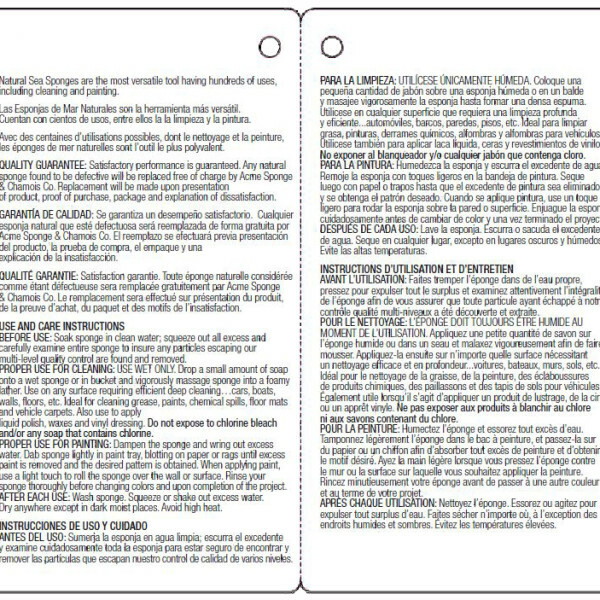 Do not expose to chlorine bleach and/or any soap that contains chlorine. 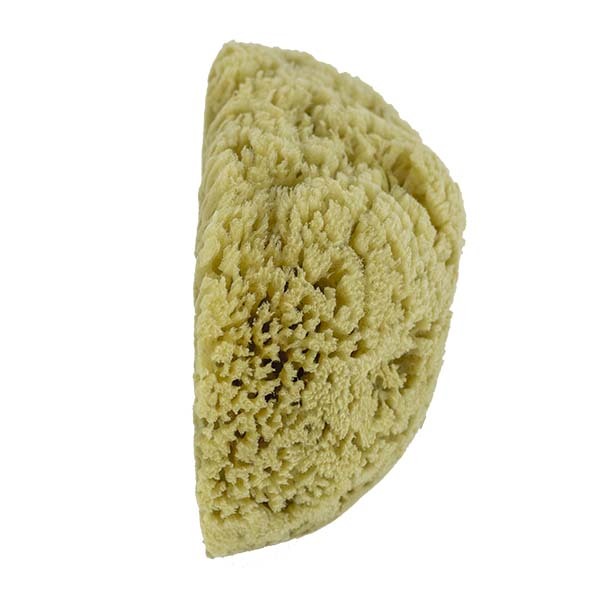 Proper Use for Painting with a Yellow Sea Sponge: Dampen the sponge and wring out excess water. 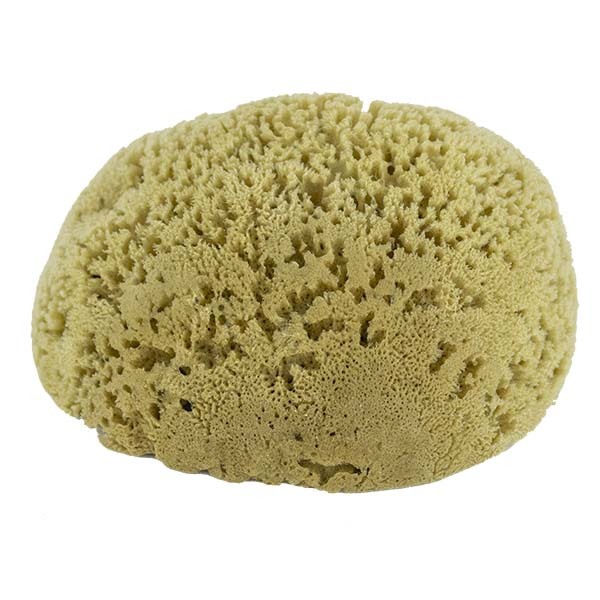 Dab sponge lightly in paint tray, blotting on paper or rags until the excess paint is removed and the desired pattern is obtained. 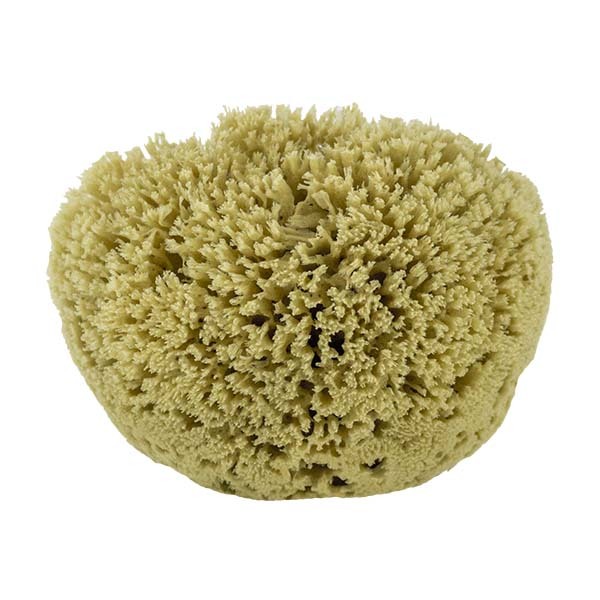 When applying paint, use a light touch to roll the sponge over the wall or surface. 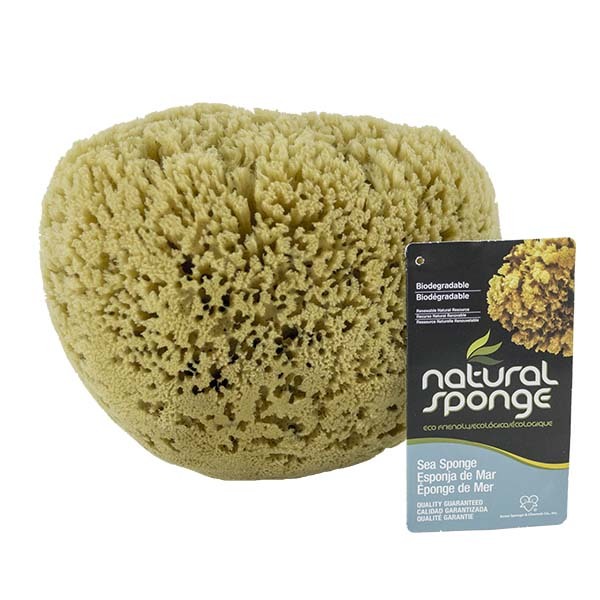 Rinse your sponge thoroughly before changing colors and upon completion of the project. 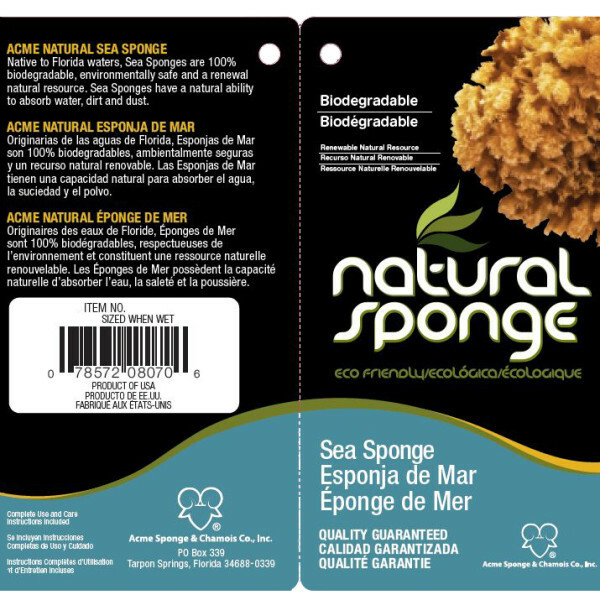 After Each Use: Wash Yellow Sea Sponge. Squeeze or shake out excess water. 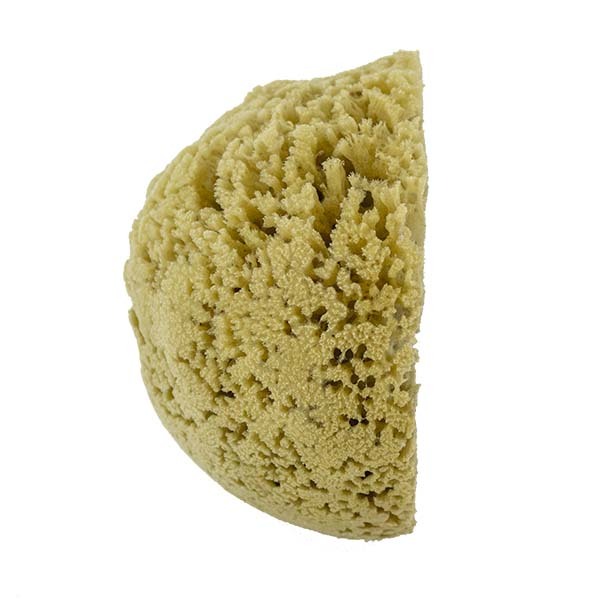 Dry anywhere except in dark moist places. Avoid high heat.